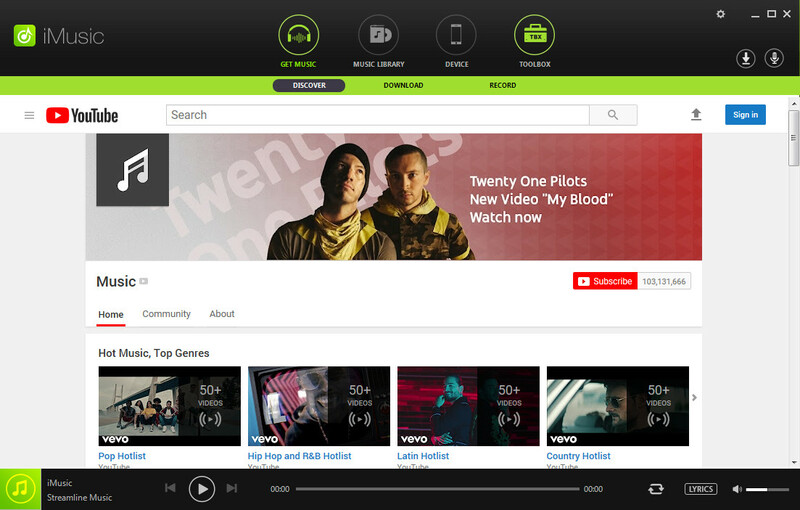 Spotify, one of the best online music streaming services till date, offers its users a huge list of artists, playlists, albums, genre or record label to browse through and play whatever music they like for free. 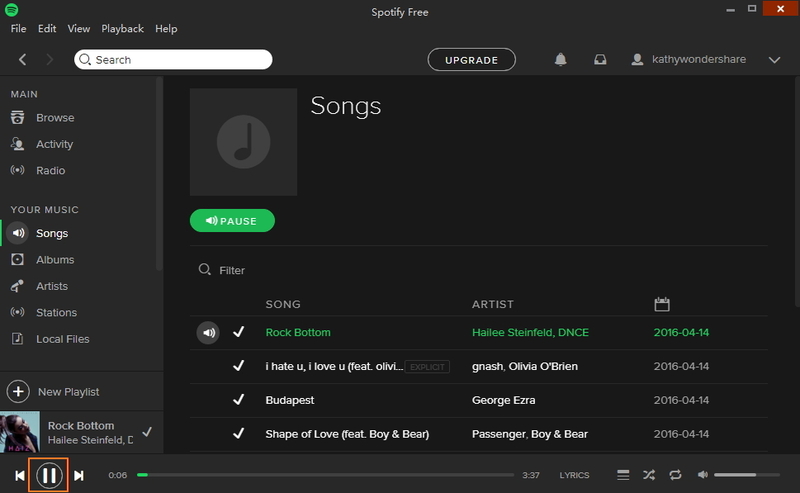 Of course, as is common in the world of internet, a premium membership on Spotify will get more; ad free user experience with better audio quality and the option to download music for offline playing. But, what if we told you that you could download any song you like on Spotify absolutely free of cost! That’s right; iMusic is the best Spotify downloader you can get and here is a list of things that you can do with this amazing software. 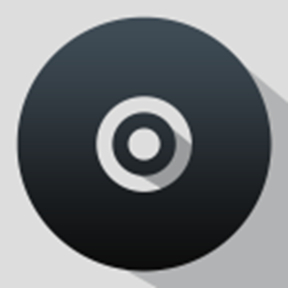 Discover – Search for song, artist, genre, or playlist and download the same. Download – Get music from over 3,000 websites on the internet including famed YouTube, Facebook, VEVO, and others. 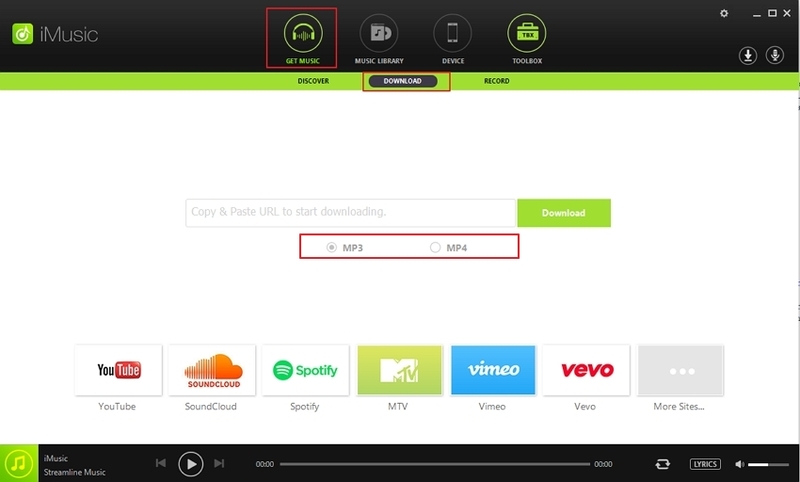 Record – Save streaming audio files from the web in MP3 format. Backup/Rebuild – Backup a library and ship it to other system and rebuild. Fix - Repair all the problems in your iTunes library with a single click. Toolbox – Additional choices for advanced music management. 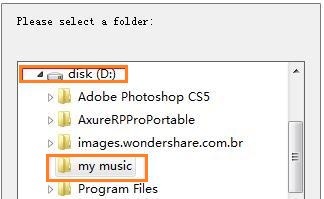 Launch the iMusic software on your PC by double clicking its icon. A screen like below will appear. Step 5: Find the songs in the "iTunes Library"
As you complete the recording of the songs, you will find the songs by these 3 ways: select the "record", "playlist" or "music" option which all are under the "iTunes Library". The very first step is to record music from Spotify to your iTunes Library and for this the steps from From Spotify/streaming to iTunes guide should be followed. Select the "iTunes Library" and then go to click the icon of "record" as screenshot which is on top left conner of iMusic page. These are the list of songs that were earlier recorded from Spotify to your iTunes library. 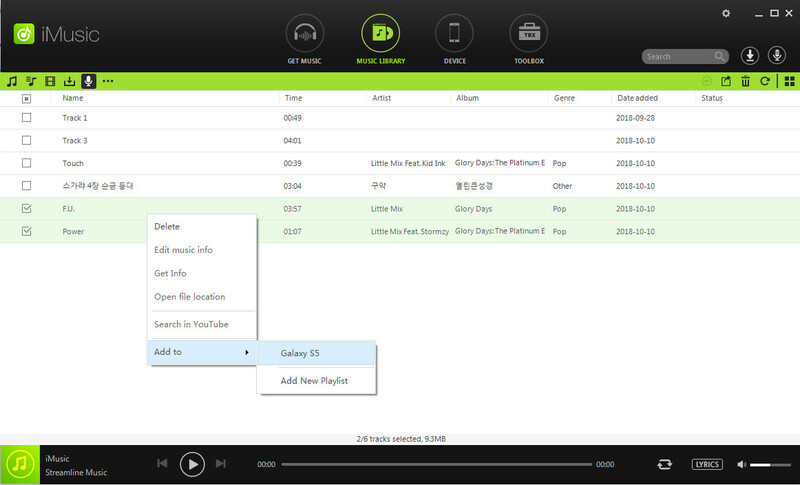 Now from the available list of songs, select the ones that you want to transfer to your PC/Mac. 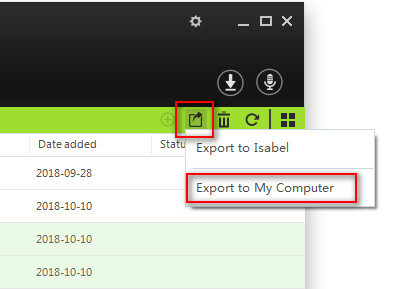 Now go to the top right menu bar and select "Export" icon as screenshot that will open a drop down list and from this list select "Export to my computer". 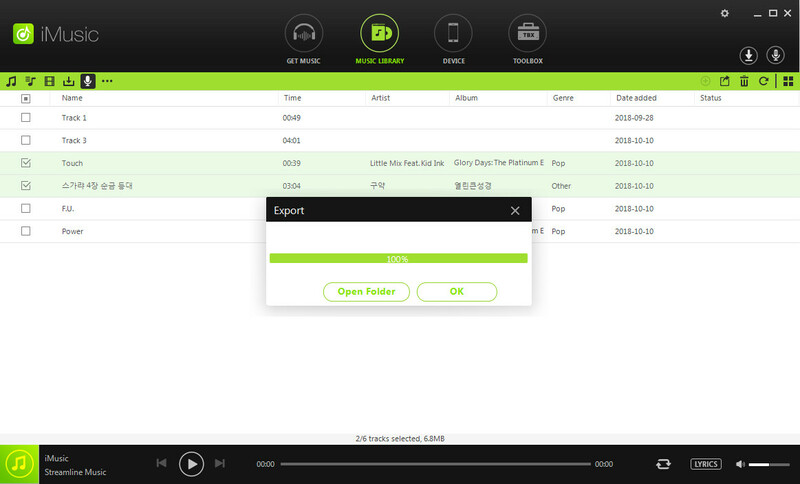 Now you need to select the folder to which you want the songs to be stored on your PC/Mac. Once the songs are transferred, a message of successful export will be visible. First of all you need to record the songs from Spotify to your iTunes library and for this refer to Guide- From Spotify/streaming to iTunes as part 1. Connect your iOS device (iPhone/iPad/iPod) to computer. Now take the iphone as an example. On successful connection, the iphone will appear under the "Device" section of iMusic homes page. Now the songs that were streamed from Spotify to iTunes will be visible under "Record" list as screenshot. 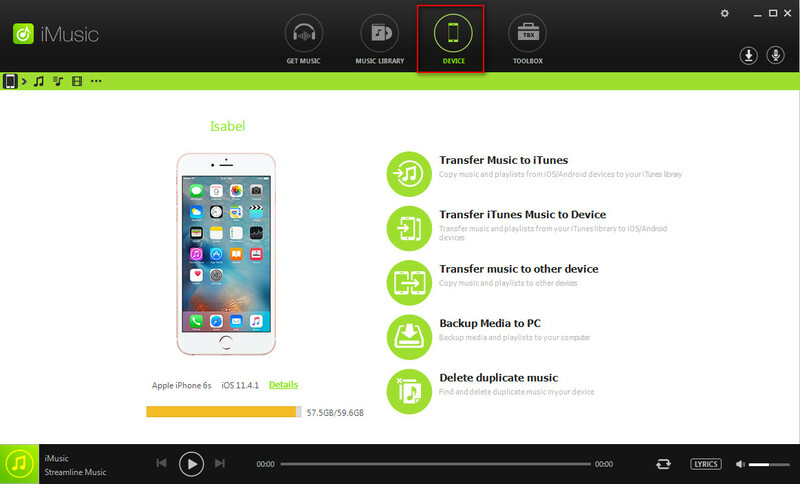 Select the songs which you want to transfer to iphone. After selecting the songs, just right click the songs and click "Add to" , then select you iPhone name. The songs will now get transferred. You can check the songs by clicking on the "Device" option and then click "music" icon. First, record the songs from Spotify to your iTunes library which you can refer to the part 1. Connect your Android device to computer. Now let take Galaxy S5 as an example. 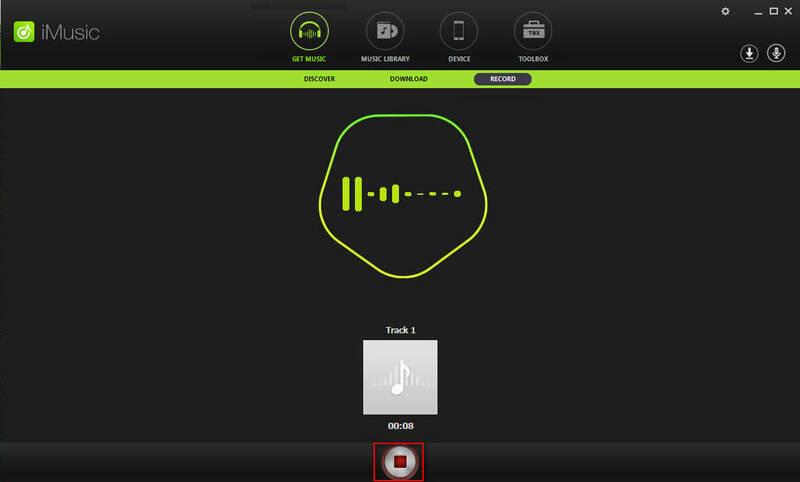 On successful connection, the Android device will appear under the "Device" section of iMusic homes page. 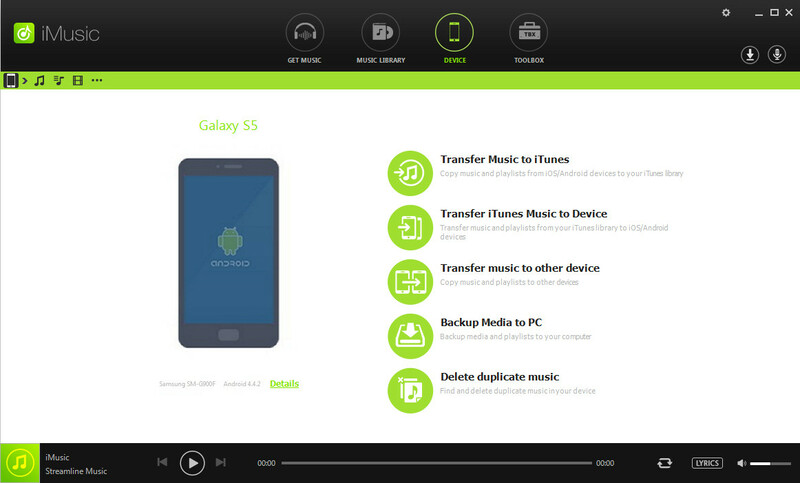 Select the songs which you want to transfer to Android. After selecting the songs, right click the songs and click "Add to" , then select "Galaxy S5" (There will be different versions according to your android device). The songs will now get transferred. 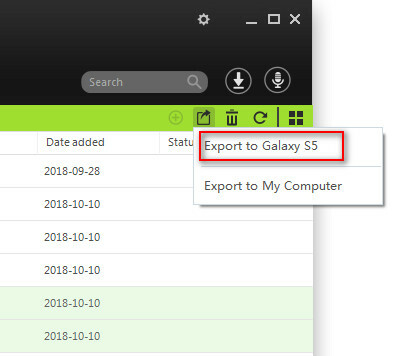 After selecting the songs, click the "Export" icon which on the top right conner and then select "Export to Galaxy S5"
There is so much more that you can do with Aimersoft iMusic, here is a list of what all you can accomplish with this wonderful software.